Planning a trip to Toronto this spring? In the month of May, you can expect a short, but mild spring season. This warmer weather means that visitors can enjoy more of the city's great outdoor offerings, such as dining al fresco on one of Toronto’s many patios, going on a walking tour of the city, or enjoying the many parks and green spaces throughout the city. Springtime also means that the full throng of summer tourists have not yet arrived, but you might miss out on some of the most popular festivals and events that are not yet underway. That being said, near the end of the month is the national holiday, Victoria Day, that brings in a large number of international tourists and locals heading to the beach or countryside. In general, May is a pleasant time of year to visit Toronto with quite a few events going on to enjoy. Canada may be known for record-breaking low temperatures, but if you're visiting Toronto in May, you can expect mild weather during your stay. During the daytime, it will be warm, but evenings can still be chilly. Typically, rain is expected for 11 out of the 31 days in May, so you will no doubt want to bring a raincoat, umbrella, and water-resistant footwear, such as rubber boots and comfortable closed-toe walking shoes, especially if you plan on seeing the city on foot. You will also need to bring a wide range of clothing pieces that can be layered. These items include t-shirts, tank tops, sweaters, light pants, heavy slacks and a light jacket. Though you probably won't be soaking up the sun on a beach, bring a sunhat and sunscreen to protect your skin, even on cloudy days. Though the city seems the bulk it its festivals and events during the summer months, there are still quite a few things going on in May. Victoria Day: Victoria Day is a national holiday in Canada that falls on the Monday prior to May 25th each year. Expect all government services, schools, and banks to be closed. Additionally, Victoria Day weekend is a major travel holiday in Canada and is commonly referred to as "May Two-Four Weekend". Traffic is inevitable on the highways beginning on Friday and runs until Monday evening. You will also encounter long lines at all of the border crossings. Artfest Toronto: Toronto’s historic Distillery District will be hosting Artfest Toronto May 18 to 20, 2019 this spring, showcasing a curated selection of 80 artists from across Ontario, Quebec and beyond. Art being featured ranges from painting and photography, to sculpture and jewellery. Hot Docs International Documentary Festival: Running from April 25 to May 5, 2019, Hot Docs is the largest documentary festival in North America featuring over 200 thought-provoking films from Canada and around the world. Scotia Bank Contact Photography Festival: Photo buffs take note. Founded in 1997, Contact is the largest annual photography event in the world, happening from May 1 to 31, 2019 featuring over 200 exhibitions. 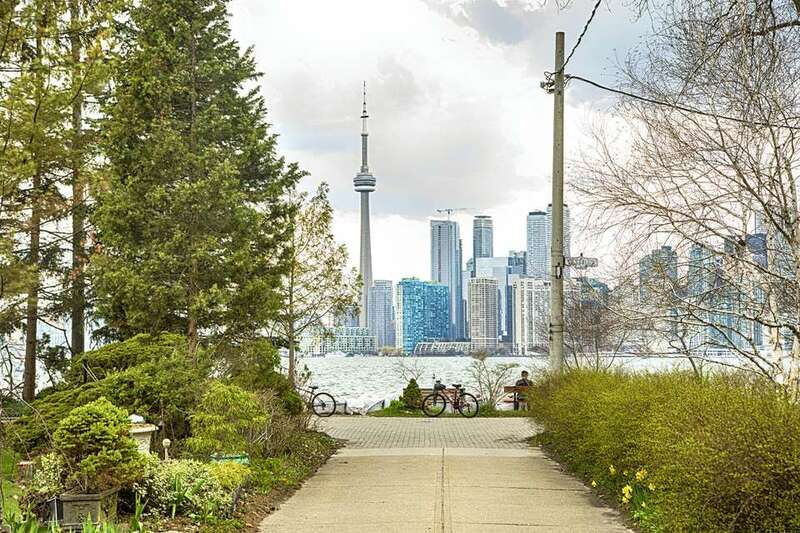 Tastemaker Toronto: Evergreen Brick Works is the scenic setting for Tastemaker Toronto, a food-focused event happening May 10 to 12, 2019. Expect some of the city’s best chefs and mixologists creating mouth watering food and drink for two jam-packed days. Canadian Music Week: Part music industry conference and part festival, this Canadian Music Week is packed with workshops, panels with music professionals, and culminates in the Canadian Music Fest that sees hundreds of bands play shows at more than 40 live music venues in downtown Toronto. Get in on all the action May 6-12, 2019. Doors Open Toronto: This free festival showcases 150 architecturally significant buildings that open their doors to the public during this popular event on May 25 and 26, 2019. Toronto was the very first city in North America to host this event, and it remains one of the best around. Remember that Victoria Day is a national holiday in Canada (falling on May 20, 2019) and most businesses will be closed. The majority of the city’s main attractions however, should still be open. May is a great time to take advantage of Toronto’s many parks, of which there are many throughout the city. If you’re curious about weather and climate in Toronto at other times of year, check out this guide that covers all of the city’s seasons and what to expect each month.